Hi all! 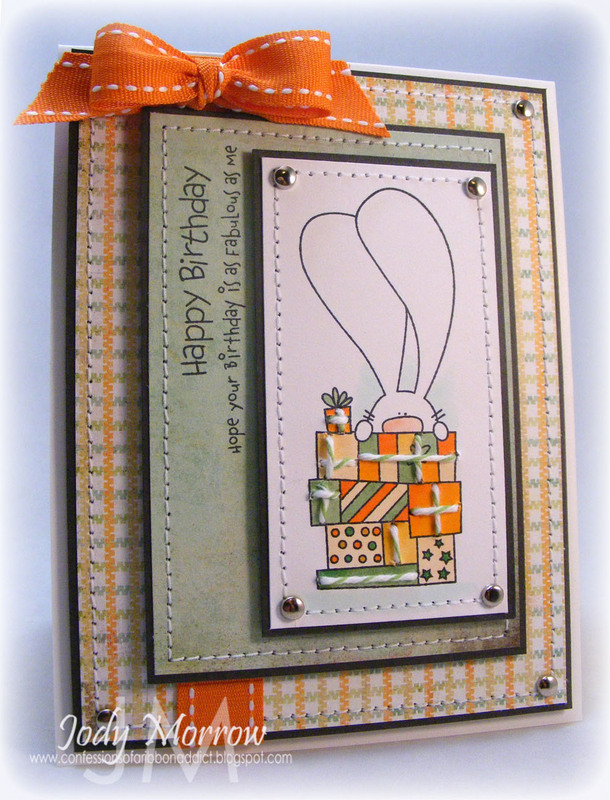 Here is a card I made using my TCP set, Birthday Bunny. I chose a muted color combo based on my patterned paper from the Basic Grey Kioshi line. The gifts were colored and then I used Divine Twine to embellish them. This is super cute!! Love how you added the twine to the packages! Totally cute Jody!! Love it!! This is super sweet. That twine is such a perfect touch. Great colors. LOOOOVIN' how you did the twine on the presents!! Love the string around the packages! I am loving this card! The stitching on the presents really makes you want to touch them!